DENVER, CO (June 12, 2015) – Today, AASA, The School Superintendents Association, and Hobsons—the world’s leader in connecting learning to life—announced a joint CGI America Commitment to Action to improve access and student success in community college. With 62 percent of jobs expected to require at least a certificate or associate degree by 2020, community colleges play an increasingly important role in preparing students for new opportunities. However, despite best efforts, community colleges continue to struggle with retaining and graduating students. Often times, entering freshmen must enroll in remedial courses—which don’t count as credit toward a degree—or don’t have access to advising and degree planning. To address these barriers, AASA and Hobsons are bringing together high school, school district and community college leaders to create clear pathways for students to progress to and through community college. Similar partnerships between local high schools and community colleges have helped reduce college costs and improve success for students—with new initiatives such as dual-enrollment and new placement criteria. To ensure the development of these partnerships, AASA and Hobsons will host a series of working groups that bring together district, high school, and community college administrators to address the issues of student access, preparedness, persistence and graduation. 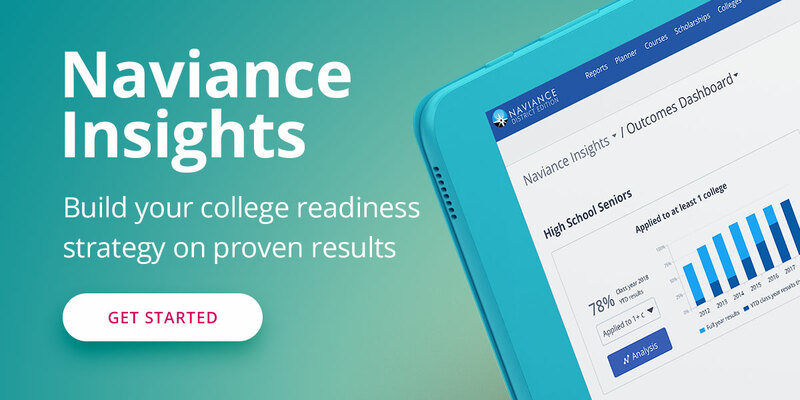 This work will also be informed by Hobsons’ student advising via the Naviance and Starfish platforms, which serve millions of students from grade school to grad school. From these gatherings, the partners will then develop and disseminate a series of best practices and guides.